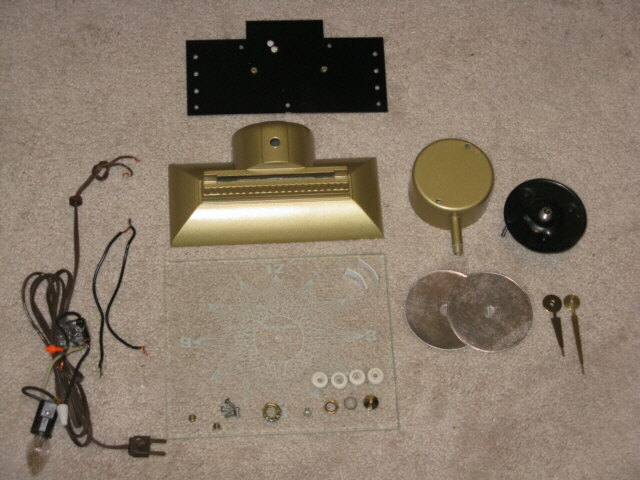 Here Disassembled, cabinet parts restored. Cleaned, polished and clear coated where needed. Clock mechanism cleaned and lightly lubricated. Btw - The hands cap is pressed on with this movement. with the pressed on cap. This is not needed with the threaded cap as it tightens down to hold the minute hand . Removing the pressed cap can be difficult to do without damaging the movement. Removing the thread cap is easy, hold the minute hand and unscrew it. 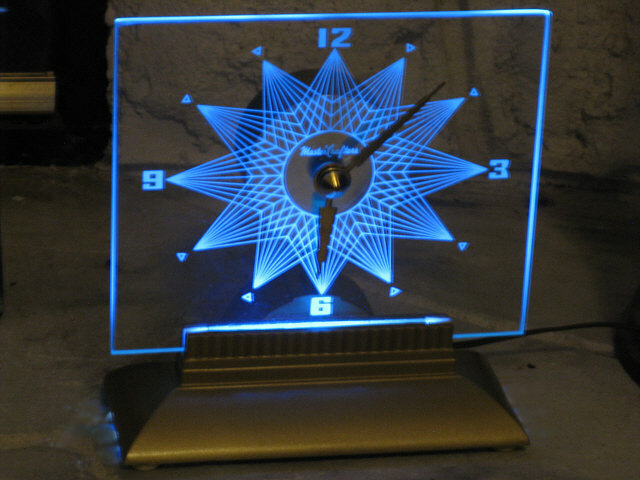 LED lamp the effect is to turn the edges and clock face blue. 1 roll of 2" foil tape from Home Depot. 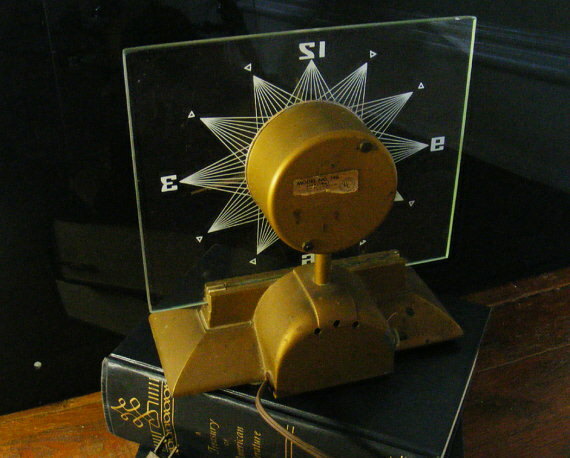 Note: the lamp is a tight fit , it is facing the glass in the middle. Foil tape was used on the inside bottom of the base to increase light transfer. Ideally, a PCB should be used, fitted with ultra bright LED's the length of the bottom glass edge. 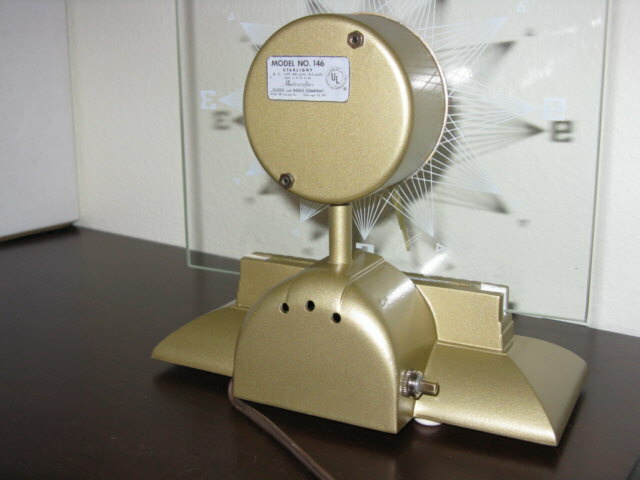 This would provide an even distribution of the light across the clock face. However the bottom edge of the clock face will always be brighter . The base would then have to be fitted with a supply to run them. 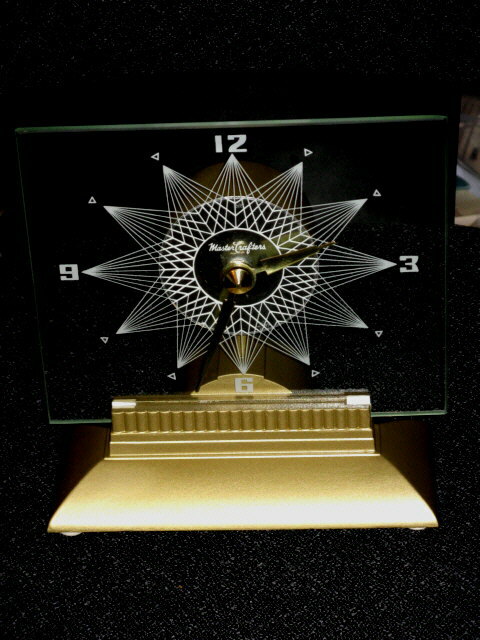 Recently I have been contacted by a few people working on these clocks. They have asked about help with the motors. I have had mine stop running after a power failure. So I thought I'd post a little more info. 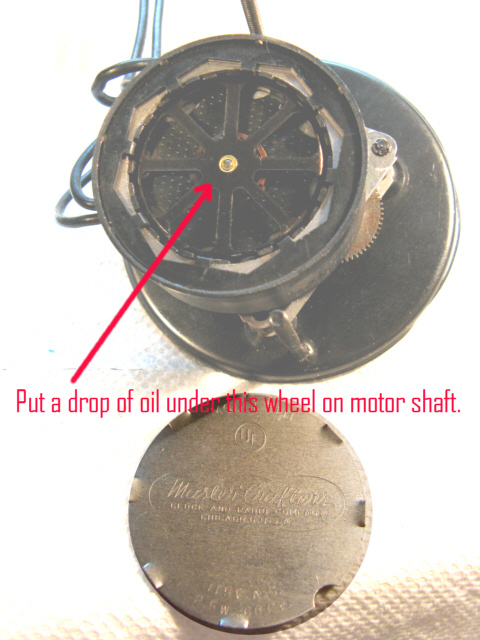 Of course it's important that the entire area of the motor gearbox be clean , the area circled is critical. Make sure the worm gear is clean. Put a few drops of oil on the worm gear shaft, which is connected to the motor. I would suggest not putting oil any of the gears themselves, however a drop on the shaft ends should be fine. 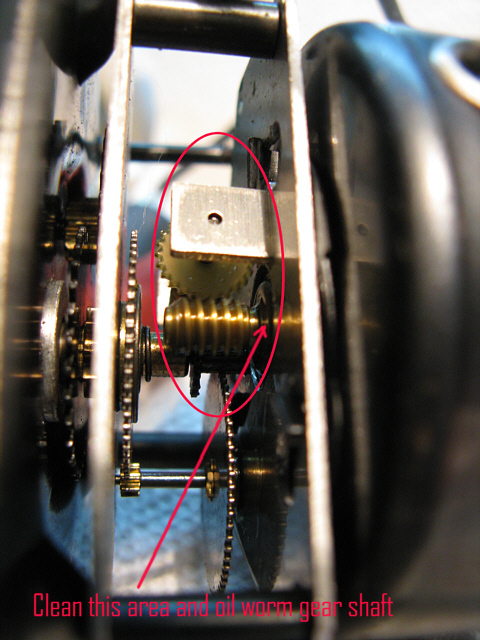 observe the worm gear I've circled above. It's not obvious in this photo but the motor is actually running in the picture. Finally, the back of the actual motor section can be taken off easily, and a drop or 2 of oil put under the wheel you will see there on the motor shaft. It must go under the wheel to reach the bearing surface. 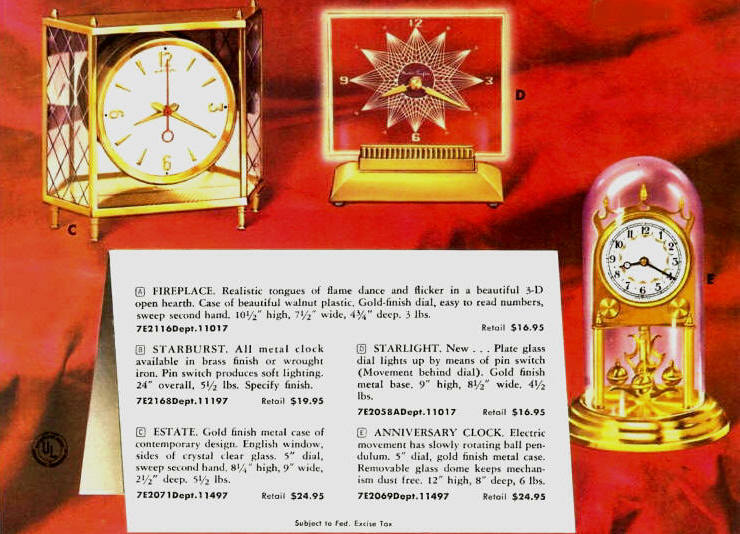 Email me if you have one of these clocks and you want to have it restored or need help in doing it yourself.